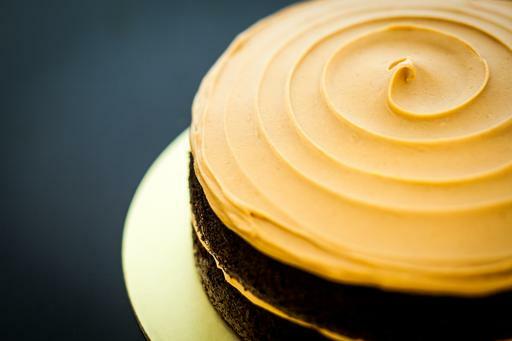 This dark chocolate cake is baked with love and topped with creamy, peanut buttercream…. The savoury frosting marries beautifully with the subtly sweet dark chocolate cake. Please note that this cake is "naked" (not frosted) on its sides.